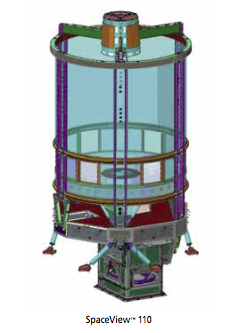 Harris has provided some of the most relied upon imaging systems in space for over 50 years. Today, we continue the legacy by bringing to the market cutting-edge capabilities which offer the fastest, highest resolution imaging capability commercially available. The SpaceView™ 110 payload serves as the imaging payload for DigitalGlobe’s WorldView-3 and WorldView-4 satellites. Delivering up to 25 centimeter panchromatic resolution, SpaceView™ 110 boasts the most advanced capabilities available from an imaging payload on the market today.